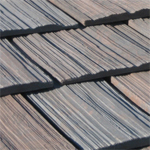 Titan Old World Slate or Titan Shake is an ideal choice as a premium roofing product to make your log home exquisite. Either can be installed in a staggered pattern to achieve a rustic appearance which will add character and charm to your home. Both Titan Old World Slate and Titan Shake offer thicker profiles than any other composite product on the market. 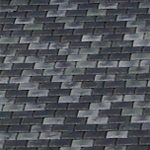 Our Titan Old World Slate is twice as thick as our nearest competitor. Titan Shake varies in thickness to create attractive shadow lines replicating hand split cedar shake. 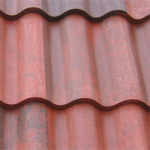 Titan Roof Systems roofing products have beautiful surface detail. Our products are designed from actual impressions of natural slate and shake resulting in a genuine appearance. All of Titan’s roofing products are Class 4 hail rated. Using Titan may result in insurance discounts. 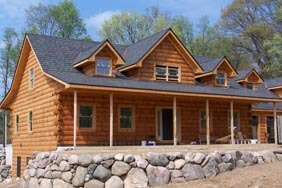 Titan Roof Systems’ roofing products will give your log home the distinctive, alluring appeal you are looking for.